It’s no secret that Rogue One: A Star Wars Story took many different forms before being released in theaters. The commercials and trailers alone prove that. But, according to the film’s villain, that may have just been the start of it. 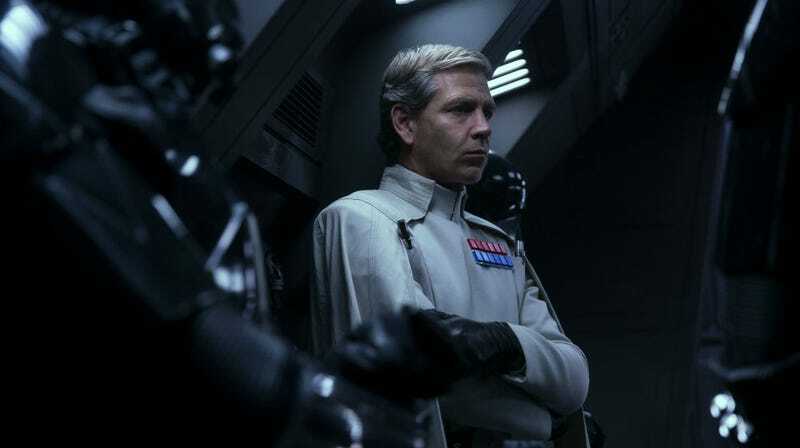 Speaking to Collider, Ben Mendelsohn—Director Krennic himself—spoke about how the film could have been a great many things. He started off by explaining the reason for that was because of the various takes director Gareth Edwards took on set. Absolutely, with enormous differences within I would’ve said 20 or 30 of the scenes....There would be enormously different renderings. Well, that’s incredibly intriguing. “Enormously different renderings.” At this point, though, it’s important to remember a few things. One, even if there are different versions of the film, the one that was released is the one that counts. Anything that’s not in this version is nothing more than trivia now. Second, don’t get your hopes up to ever see any of that footage. While a few snippets here and there may make it onto the Blu-ray or future materials, unless someone writes a tell-all book in the decades to come, odds are all this material is a bit too sensitive for the public’s eyes. Read more about Mendelsohn’s experience seeing the final version of the film at the below link.